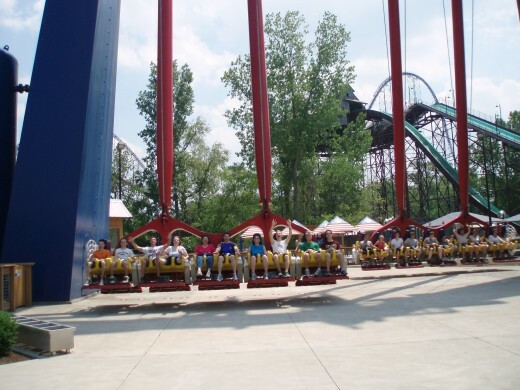 Cedar Point offers an exciting summer family day trip. 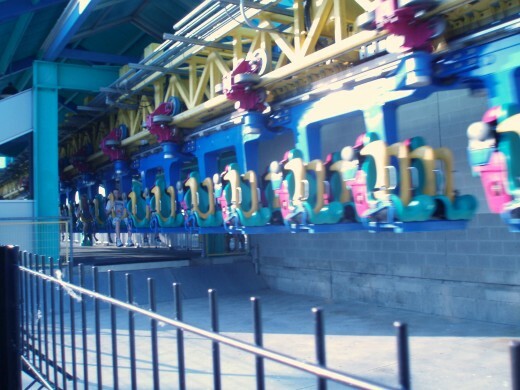 This guide will cover everything you need to know to make your own plans to visit Cedar Point and ride the roller coasters! I recently had the opportunity to visit Cedar Point with my family and enjoyed every minute of it. Now I want to pass along the information so you can have a great time too! Note: if you want to know what you can or cannot bring into Cedar Point, Keep reading! Can You Bring a Bag or Backpack into the Park? This is the most common question I see, can I bring a bag into the park? At almost every roller coaster, there are bins to put your bag in before you ride. Just make sure it is nothing too valuable, because you don't want to risk forgetting it or getting it stolen. So, by all means, being a bag with you when you go to Cedar Point! 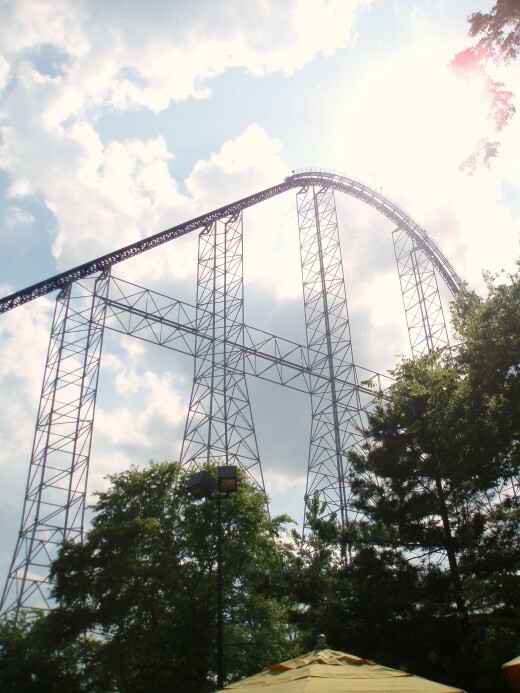 If you have never been to Cedar Point, you might be wondering what exactly it is. Cedar Point is an amusement and roller coaster park located in Sandusky, Ohio on over 300 acres of a peninsula next to Lake Erie. The park has more than 70 rides and attractions as well as 16 roller coasters. Cedar Point holds many records in areas such as most rides above 200 feet, and a number of individual roller coaster records. Cedar Point is widely regarded as the best roller coaster park in the world. What Makes Cedar Point a Good Family Vacation and Who Should Go? Cedar Point is a great family vacation because it offers attractions geared to people of all ages. From the very young to the well seasoned individuals, Cedar Point has something everyone can enjoy which means anyone can go and have a good time! The parks major attractions, the roller coasters, do have some restrictions including height (most are 48” or higher) and it is strongly recommended pregnant women and anyone with back problems avoid the roller coasters. 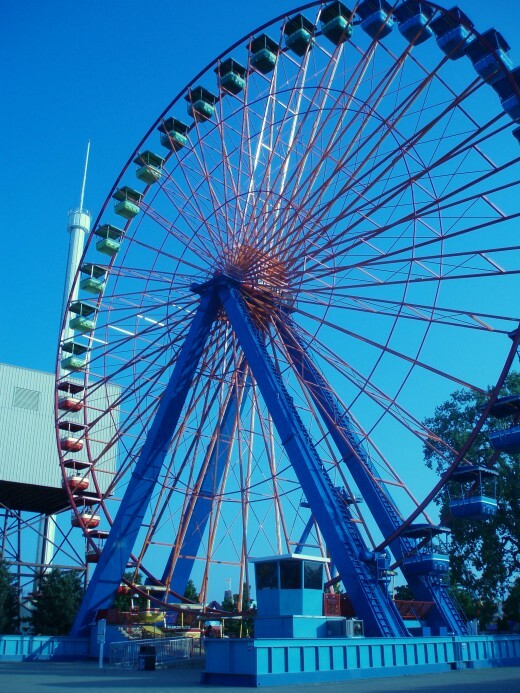 But, for everyone else, such as families with teenage kids, Cedar Point provides daylong fun and entertainment. This is probably the best information that you won’t find anywhere else on the web. Here are my suggestions for what to bring to Cedar Point on a day trip. Small backpack – Bring a small backpack to put your things in. Nearly every ride has a place to put your stuff while you are on the ride, so it is not a problem to bring a backpack. Water and Sports Drinks – This is very important especially if it is a sunny day. You can buy water at the park, but it is incredibly expensive! Most food stands will give you a cup of water for free if you ask. Energy Bars or other food – it’s important to be fueled up in order to keep going all day long! Camera – if you like to take pictures, bring a camera! Lots of fun things to photograph, just be sure to put it in your backpack while on the rides! Sunscreen – Even if it is not sunny, bring sunscreen and use it. Cooler in the Car – leave a cooler with ice and bottles of water in the car for when you are done. It’s very refreshing to return to the car and have cold water waiting. Car Snacks – Also bring some snacks for the car ride to and from Cedar Point, depending on how far it is! Don’t Bring Important Valuables – Avoid bringing in your purse or lots of extra money etc. You can leave that stuff in your locked car and it should be fine. Additionally, you can always go out to your car during the day to grab something you forgot. These are my suggestions, you can bring anything else you think might make the day more enjoyable. Just remember that there is a lot of walking between rides, so avoid heavy backpacks. What is Your Favorite Ride at Cedar Point? Other - Post in comments! 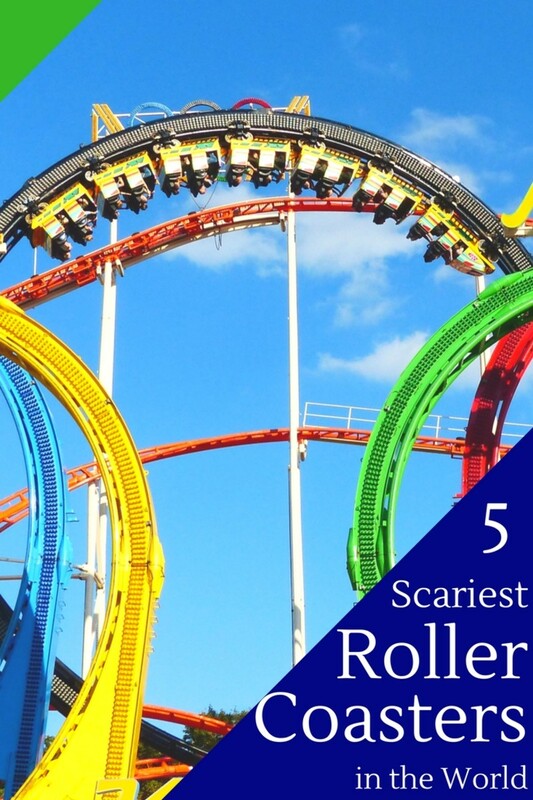 These are my top five rides that you must try if you love roller coasters. These rides each offer unique features and excitements at Cedar Point making each one individually entertaining. These are not for the faint of heart but I do encourage you to try them even if you are a little nervous because they are so much fun. I won’t go into details of these rides; you can look that up if you really care, but each of these rides offer new thrills and are recognized as some of the best rides in the world. As you can see, there are quite a few exciting rides at Cedar Point! Not everyone wants to go on the fastest or highest roller coaster. Some people like to start with a slower ride or simply don’t want to be hurled down a track at 120mph. For those looking for gentler rides, here is a list of the best rides for less adventurous individuals at Cedar Point. Iron Dragon – This steel suspended roller coaster offers all the fun of an exciting roller coaster while maintaining a smooth ride. It lets you feel like you are floating along in a small plane as you fly above water and vegetation. This ride is a great ride to start the day for anyone a little timid about riding roller coasters. It does not have any sudden drops or extreme twists and which makes it great for people new to roller coasters. 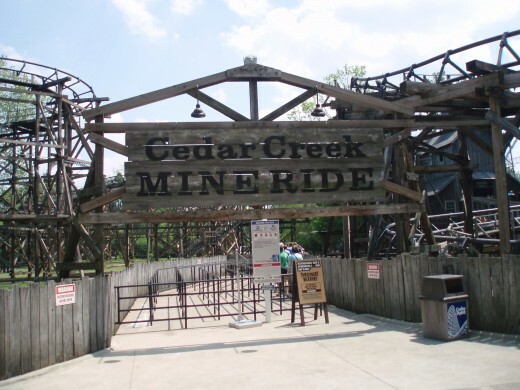 Cedar Creek Mine Ride – This is another fun roller coaster at Cedar Point that runs on a simple steel track with hills and turns but no large drops or twists. My favorite part of this roller coaster is the mine theme. The ride is made to look like mine carts rolling on a wooden track and there are a number of interesting mine related buildings and items set around the ride. This is a fun one for almost anyone. Dodgem – A great ‘side’ ride that anyone can enjoy! The bumper car attraction allows nearly 20 people to each ride and control their own bumper car and drive around bumping into other drivers. At first glance, I did not really want to spend the time doing this, but at the end of the day, I had done it twice! Incredibly simple, but amazingly fun for anyone who likes to drive around bumping into others! There are many more attractions that offer a more relaxed ride for those not seeking incredible thrills. These rides are scattered throughout the part and are listed in the map of the park. When is Cedar Point Open And How Much Does it Cost? Cedar Point is open daily from May until Labor Day (beginning of September) and the hours are 10am until 10pm. An adult ticket costs $52 dollars at the gate, or $45 if you buy online. Jr/Sr tickets cost $30 online or at the gate. Additionally, parking costs $12 per car. A new feature added recently at Cedar Point is the Fast Lane. This allows you to use a different line than regular visitors and is much, much faster. However, it does cost around $50 on top of regular ticket price and a limited number are sold each day. If you have the money, it might be worth it. If you have questions about ticket prices, go to the Cedar Point Website and learn more there. Note: the numbers listed above reflect current pricing as of the time this was written. It may change. Cedar Point is located in Sandusky Ohio. Use Google Maps, MapQuest or your GPS to get there. Or check the map below! Gemini! Old school, yes, but it's hard to beat a competitive whirling dervish of wood. 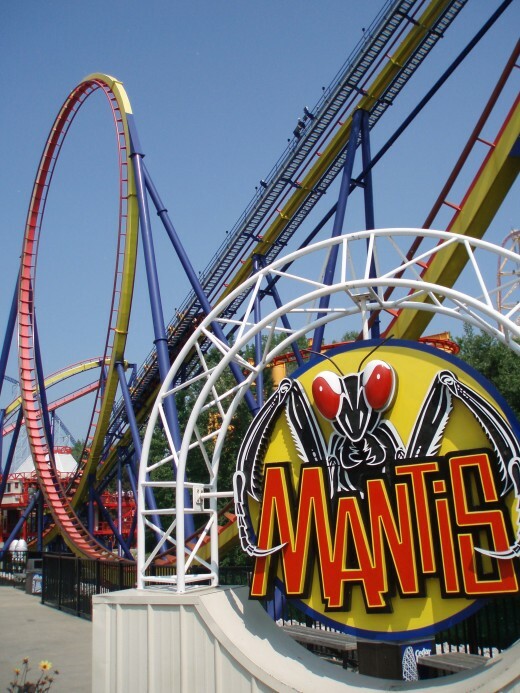 Mantis or Millennium Force are second. Great park! 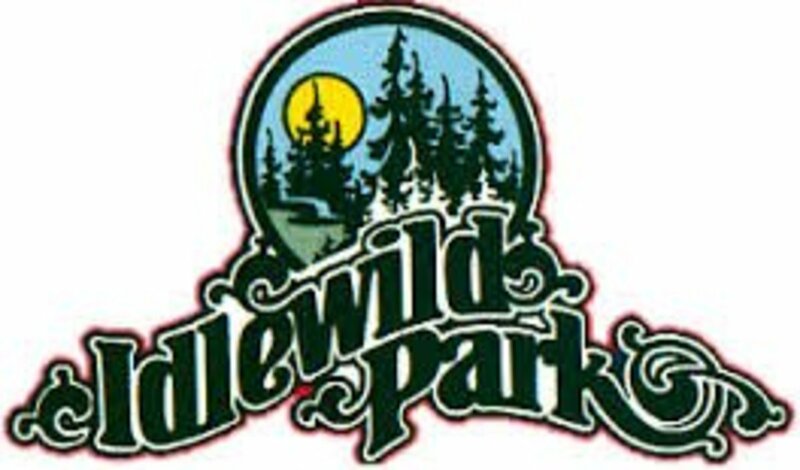 I used to go there every summer growing up. I've been to other amusement parks since, but for anyone who loves rollercoasters, it doesn't get any better than Cedar Point! CSNewYork - Oh cool, I'll have to check it out then! 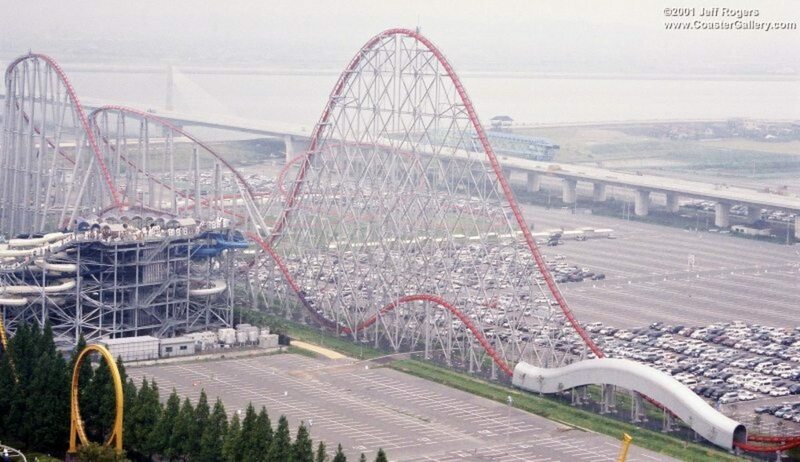 Yeah, it is a great coaster, so it is no surprise lots of parks would put it in. Hey, thanks a lot for replying. CSNewYork - Thanks for dropping by! Cedar Point is a packed day of fun! As for the coaster, I believe you are referring to Top Thrill Dragster. It launches you at 120 mph up a virtical climb of 300-400 ft and then drops you down again. A real heart stopping ride. I don't know much about the other parks you mentioned, but I would imagine it would be similar. Cedar Point seems like a truly amazing park and I can tell from this hub that the coasters there are absolutely incredible. Some of the coasters look like they are the coolest in the world. Great hub! 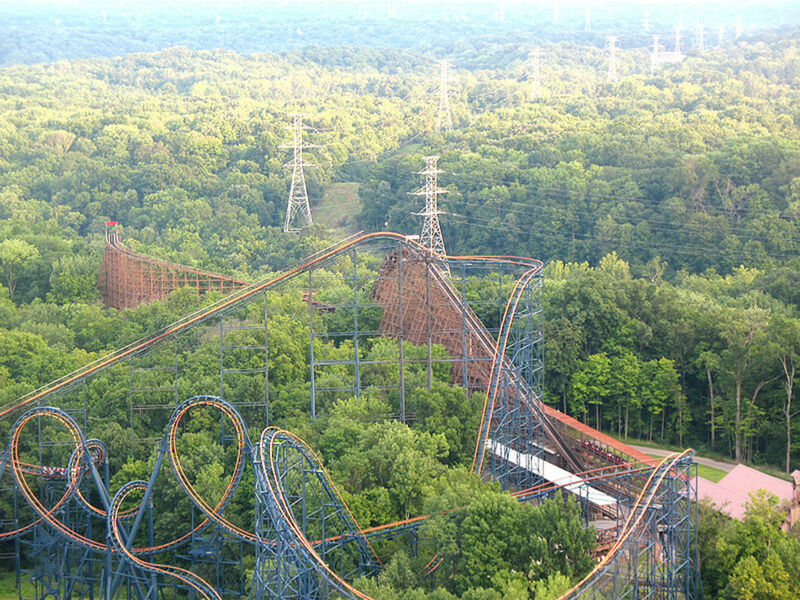 By the way what is the name of that super high coaster you have pictured? It looks like its yellow and red and it looks almost identical to Kingda Ka at Six Flags Great Advenuture (which I have been on). 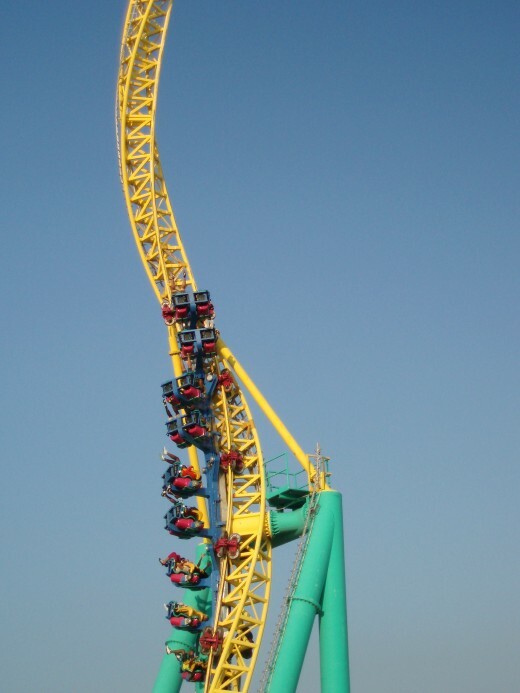 Just wondering if Six Flags came up with Kingda Ka before or after Cedar Point made that one? And also do you know which (Kingda Ka or the red and yellow one) is better? Thanks a lot and again, great hub! bankscottage - I totally agree! Cedar Point is the best amusement park. That's great you have been there! I think a few rides have been added since 2001, so it might be fun going back! Thanks for reading and commenting! Fantastic Hub! I love Cedar Point, but I haven't been there since probably 2001. We went several times before that. Cedar Point is the best amusement park in the world. (Disney, etc are entertainment parks). There is no better place to go if you love roller coasters. This gets me thinking that I want to make plans for a weekend visit sometime this fall. (I believe they used to have fright nights). xanzacow - It is great, and kids of all ages can enjoy it! Thanks for dropping by and leaving a comment! Voted up and interesting. I have always wanted to go there but have never done it. I think the kids would enjoy! Denise - That's neat you have been to Cedar Point so much! 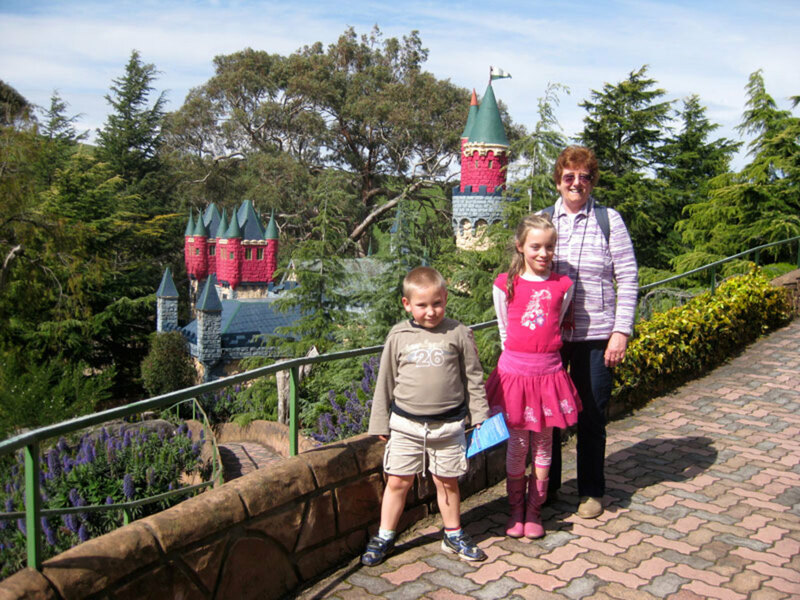 There is so much to do there, even besides the roller coasters! Thanks for your kind words and comment! If I had NEVER been to C.P (and I have many times) I would want to go based on your article and photos here. Very well written and informative. I can count on one hand how many times I've gone on the roller coaster (any r.c.) But, the photos are awesome. Great job. Voted up and interesting/useful Lots of great info here and I especially like the tips. I grew up in Michigan (suburb north of Detroit), so going to CP was an annual event. Thanks for the memories! hahaha. 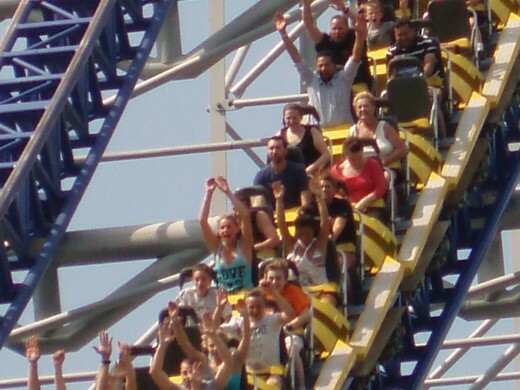 Thanks Robert, if you like going fast, high, dropping quickly or just holding on for dear life, you'll love Cedar Point. That's cool you're in MI, as that is where I currently reside. Thanks for your comment! This is a great article! I am sharing it for sure. I go to university in Michigan and have never been to Cedar Point! Everyone talks about it. I will have to visit sometime for sure. I love the descriptiveness of this article. Voting up and sharing. Thanks Buddy! It is a lot of fun, I know you would enjoy it for sure! I have always wanted to make it to Cedar Point. Hopefully soon.